Tasting Note: Some time before 1904 our bottles were a rather unexpected shade of green with an eye-catching gold trim. And as unusual as that may seem, it's just one of the many labels in Old No. 7's past. 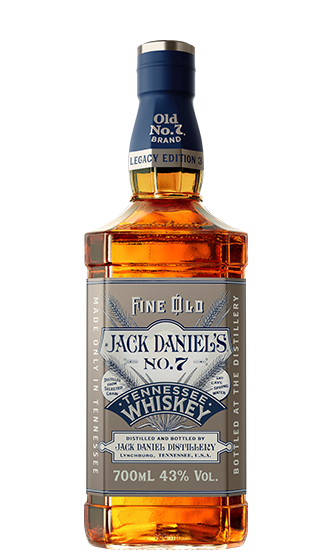 You have to be patient to make whiskey, and it seems that Jack took his time landing on the tried-and-true black label we know today. This is the first in our series of Legacy Edition Bottles. Each label we release will celebrate the unique, slightly mysterious history of Old No. 7.